Any student pursuing a career in the rapidly growing field of graphic design is expected to be well versed in Adobe Creative Programs like Photoshop as well as be able to use a digital drawing tablet. 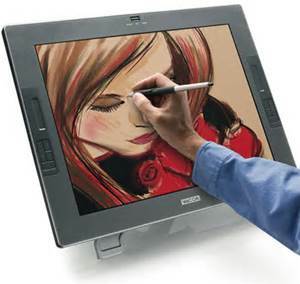 The techniques and skills students acquire learning how to draw and paint digitally are key. Unfortunately, having a classroom full of digital tablets was not in our budget. What a surprise to have my principal apply for a Fund A Need on my behalf over winter break! Full funding of this request now allows for a major change in how I approach this class; a positive and important change. I was also relieved that I would have the tablets this semester. I don't have to carry on another semester "making it work" when I know these tools (digital drawing tablets) will have such a positive impact on student's project outcomes. Students will have access to industry standard tools they will need to be comfortable with for a future in the growing field of Design.